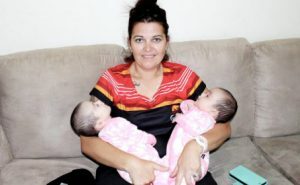 Our Bunji Burri to Gunadoos Service provides Aboriginal and Torres Strait Islander families with culturally appropriate antenatal and postnatal care. Whether you need support or information during your pregnancy, our trained staff can assist you with a range of issues including immunisation, emotional wellbeing and help to decrease smoking during pregnancy. A midwife is able to see you for antenatal care, and home visits are available after you have had your baby. Talk to us about local pick up and drop off transport services. For older siblings, and your growing child, we also have play groups. Together we’ll make the best start to your child’s life. Play group is twice a week for 2 hours. Social outing for parents to meet new people. Bookings must be made through Community Care Coordinator at least 12hrs prior to appointment. Unless it is an Emergency. Client must advise where pick-up is required from at the time of booking appointment. Please note that all transportation will not be available after 5:00pm or assessed on the need of the client. Transport is available to specialist appointments in other towns as well, with 48hrs notice unless it is a emergency. When booking in transport please notify if car seats are needed and how many people are to be transported. Having this service available means Parents in need of a little help know they can reach out to the Community Care Coordinator.